Mi’Kayla Stinson, a freshman at Lawson State Community College studying chemical engineering, found the ideal preparation for her field of training. 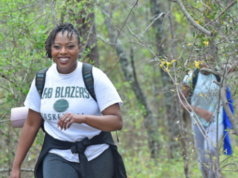 She serves as an apprentice with the Jefferson County Department of Environmental Services. 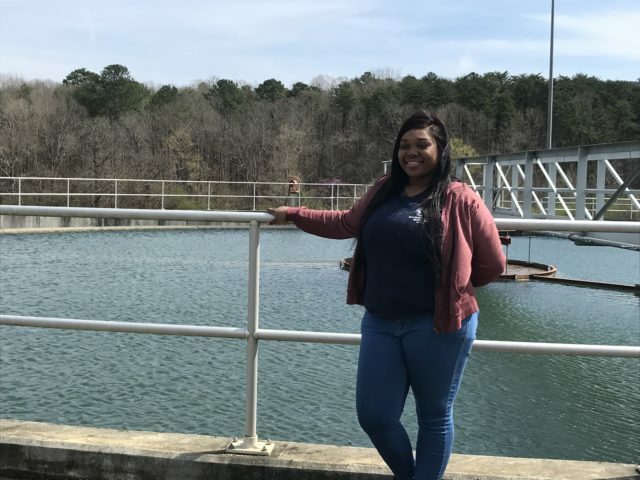 Stinson said she and other apprentices learn how to operate the technology that is used to treat the water at the Turkey Creek facility in Pinson. “We make sure all of the machines are taken care of and that everything is going how it’s supposed to go, and we do samples and test everything to make sure we’re doing it right because we have to go by the book to make sure we don’t have any violations or anything like that,” she said. The county’s sewer department recently launched an apprentice program to develop a pipeline of skilled and certified operators to fill Water Reclamation Facility (WRF) Operator vacancies. The Environmental Services Apprenticeship Program began with its first class on February 25 and has 10 participants, six men and four women. Stinson, 19, a Bessemer City High School grad, completed the internship program last summer after she graduated from high school. 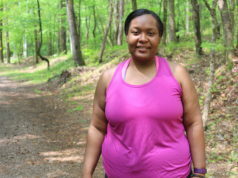 “We had to write an essay and turn it in and they [Jefferson County officials] came in and did an overview of everything and we took a trip to the plant in Ensley . . . they only picked one person out of the whole group and so I was lucky to be picked for it,” said Stinson. The apprenticeship fits in nicely with her chemical engineering studies at Lawson, she said. “They go together because we have to do labs here [at the Turkey Creek Facility] also, so it falls in with each other . . . every Wednesday [apprentices] have to do a liquids test and it deals with chemicals and the raw sewage,” she said. Participants in the apprenticeship program are required to have a minimum of 60 hours of classroom instructions where attendance is mandatory. They spend 50 percent of work and program hours in the classroom and a combination of self-study while the remaining 50 percent is spent performing job related duties. 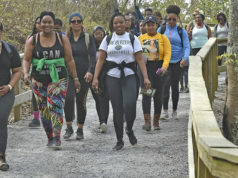 The program began with 10 participants and the county plans to bring in new people about every six months, Denard said. The county developed an internship program that goes out to high schools and tells students “the basics are of what we do and how we create clean water,” said Denard. The county has nine waste water plants and participants in the program start out at the smaller plants before moving to the larger ones. Once participants complete the program, they will be offered a full-time job with Jefferson County. The program is essential in creating a pipeline of future operators and giving people opportunities, Denard said. “We have an obligation to our community and public health and the environment to make sure that we have good operators that are always there to make sure that the plant works and we’re always producing good, clean water,” he said.